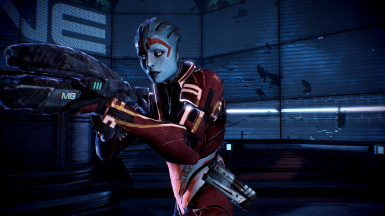 Samara gets a new armor set and a new casual outfit. 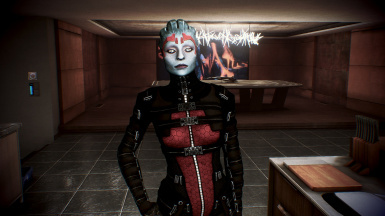 Do do use Samara's casual outfit for your own mods without permission form princessdemeter. Do not use the armor without following ELE08's rules. Samara's outfit has always been a problem for me. What type of warrior monk wears that "armor". The cleavage makes her look so skimpy. That is where this mods comes in. 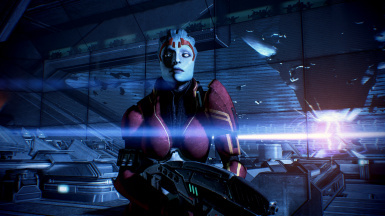 Samara will now be wearing armor in places where it makes sense. These places are the monastery, Earth, and the Citadel Arena. That's not all however. She also gets a new casual outfit in places that suit it. These places are the apartment in Citadel DLC and the Citadel Embassy. Installation should be simple due to the mod being a DLC mod. 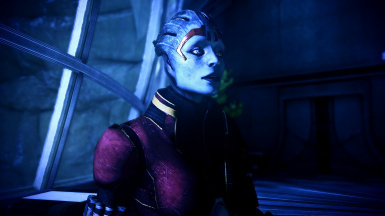 Just put DLC_Mod_SamaraArmor in Mass Effect 3\BIOGame\DLC. This mod would not have been possible without the use of texture and mesh files provided by princessdemeter and ELE08 . Their excellent textures and meshes greatly improved the quality of this mod. Please go check their work out if you have not already. 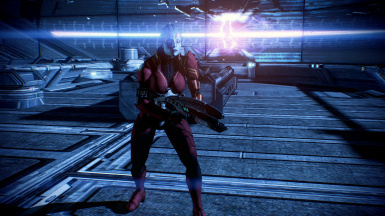 Here is the link to the armor http://www.nexusmods.com/masseffect3/mods/388/? This also means that you cannot use the textures of this mod without their permission first. In addition, the following people were also essential to the making of this mod. Mgamerz: He is the author of Mod Manager which made making the DLC Mod quick and easy. This would not have been possible without that program. Please report any bugs you may find while playing. I'm still relatively new at mod making and I need any chance I get to make the best mod possible. 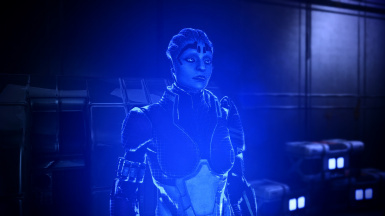 As of version 3, this mod is now compatible with both JAM and the EGM Squadmate Pack. Just use the patches included.